In January this year I reviewed Mettle’s SkyBox VR Player, heralding it as a must-have for anyone interested in authoring VR in Adobe software. It was an essential tool during the production of The Pull and I couldn’t imagine using After Effects without it. To avoid bogging down my system with two VR headsets hooked up at all time, I had to make a choice – Oculus DK2 went back to its box and Vive remained hooked up as my daily VR driver. Everything would be great if not for the fact SkyBox was designed for use with Oculus and Mettle had no official timeline on updating it with HTC Vive support. You might have heard of Revive as it has stirred quite a bit of media attention with its recent back-and-forth with Oculus’ DRM. 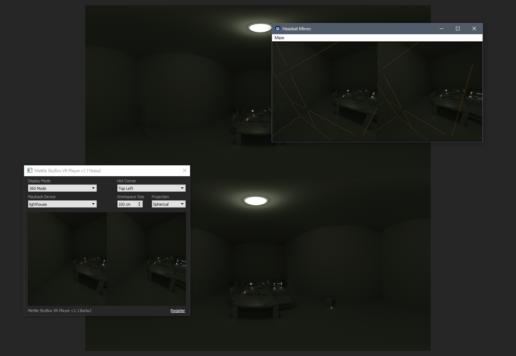 In essence, Revive is a proof-of-concept compatibility layer between the Oculus SDK and OpenVR that manages to re-direct the communications between the app and Oculus Rift into SteamVR and Vive. It was originally designed to allow Oculus-exclusive titles to work on other headsets, but as I discovered – works with SkyBox VR as well! After Effects and SkyBox running inside HTC Vive. You can easily turn chaperone off. Make sure you are running Mettle SkyBox VR Player plugin version 1.2 or above. Download and install Oculus Home. You may need to reboot Oculus Runtime Service and enable Unknown Sources in the Settings. More details on the Revive page. If you are not happy with Oculus services running on your computer and pinging Facebook servers several times a minute, you may disable them using (Unofficial) Oculus Service Manager by Biliago or some basic batch scripts. I was surprised to see that after the initial setup, the method worked just fine with the services permanently turned off. 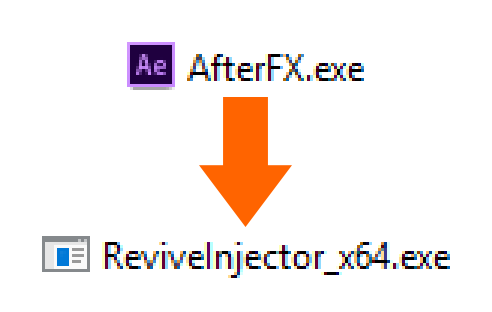 Download Revive Injector and unzip it into the directory of the program using SkyBox VR plugin. In my case, it was C:\Program Files\Adobe\Adobe After Effects CC 2015\Support Files Remember, you will need to “trick” the host application (Adobe app) rather than the plugin itself. As soon as After Effects launches and initializes SkyBox VR Player, you should see lighthouse as a Playback Device option. Turn it on and you’re done – your Vive now emulates Rift and allows you to preview your VR content from within Adobe software. Now, I am pretty sure there is some kind of elegant way of creating a shortcut or batch file that automates the process of launching AE and removes the need to drag and drop icons around, but I’ll leave it to others to investigate. Personally, I am just happy I got my favorite plugin to work again – on my favorite HMD no less. Big thanks to CrossVR for helping me figure this out… and for creating Revive! To get Premiere and SpeedGrade to work with Vive, follow the same steps, changing the working directory and .exe file to their respective ones. I didn’t see ‘lighthouse as a Playback Device option’.. I really don’t know how to help you here. If you follow all steps correctly and none of your software/hardware is malfunctioning you should see it. The only way I could help troubleshoot is to ask a series of questions like “did you do step 1?” “did you do step 2?” – but you can retrace that yourself. Most commonly people would forget to install and configure Oculus Home. Yet, I can play oculus games through Steam via the new Revive tab. Is there any settings within SteamVR that need to be set? In my oculus home settings, I don’t have any devices because I have a vive, that’s correct right? What installer do you run for vive? DK2 or CV1? Unfortunately with these many moving parts and all companies updating software on their own schedule, it is not easy keeping this hack working. I’d just keep an eye on any and all updates. As for “lighthouse” option not showing – that happens to me only if I simply start AE by itself, rather than dragging it onto the injector. Apparently the most recent nVidia drivers, released on July 14, 2016 (WHQL v. 368.81) are not fully compatible with Adobe MediaCore, messing up After Effects, Premiere and SpeedGrade. After I rolled back the driver to v. 368.39 everything works fine again. How do I reboot Oculus Runtime Service? Personally I wrote my own batch files, but both the (Unofficial) Oculus Service Manager by Biliago and basic scripts mentioned and linked in step 3 should take care of it. Finally got it to work with AE 2015.3, Oculus App Version 1.5.240083, latest version of ReVive Installer and SkyBox VR Player CV1 CC2015_3. After a week of tinkering and searching for solutions, I tried uninstalling all the plugins and starting from the beginning. After each uninstall/reinstall I restarted the computer and made sure no Steam, Vive, Oculus programs were running in the taskbar. The scripts and runtimes were very confusing, but in the end I didn’t have to do anything with scripts or runtimes. Make sure you install the latest Oculus Home (OculusSetup.exe) this includes the runtime and everything you need to get started. Don’t setup any rift or accessories-since you have a vive). This was the only script I used: and ran it straight from the “Run” command prompt. I never did get the batch scripts from #3 to work. Error said it couldn’t find the runtime. Also make sure Unknown Services are enabled in Oculus settings. Then dragging AfterFX.exe onto the x64 Injector, gives me access to the Lighthouse as a playback device! So far it does work in Workspace and 360 modes. But in 360 mode I can only see a proper 360 view when I’m in the (Skybox Output Comp), I suppose this eliminates the need to create a “Preview” comp and use the Skybox Viewer effect. Another plus is I’m able to play Oculus Games via the ReVive tab on Steam.